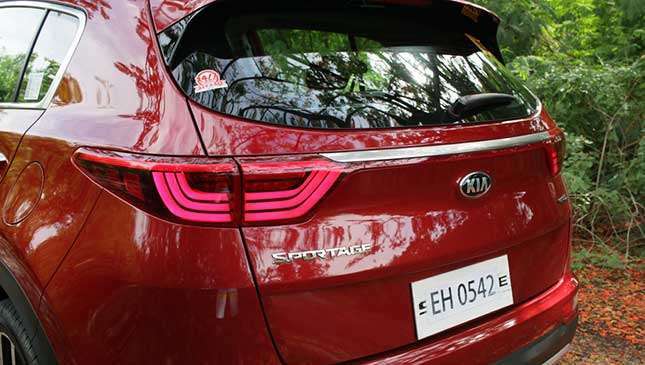 Is the fourth-generation Kia Sportage as good as its predecessor? Five years ago my wife decided to get a Kia Sportage. We liked the sophisticated styling, peppy drivetrain, and comprehensive list of features. 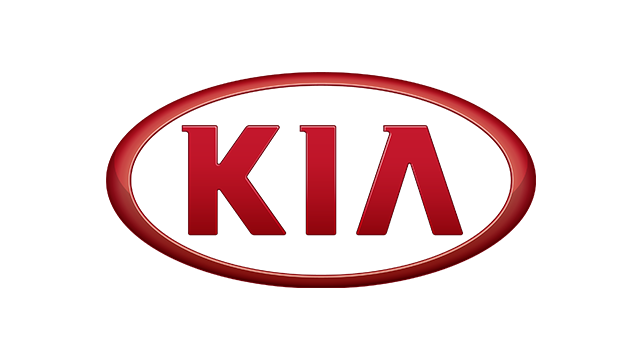 As I’d had a good experience with the 2012 Hyundai Elantra (my first Korean car), she was willing to give the Kia a whirl. 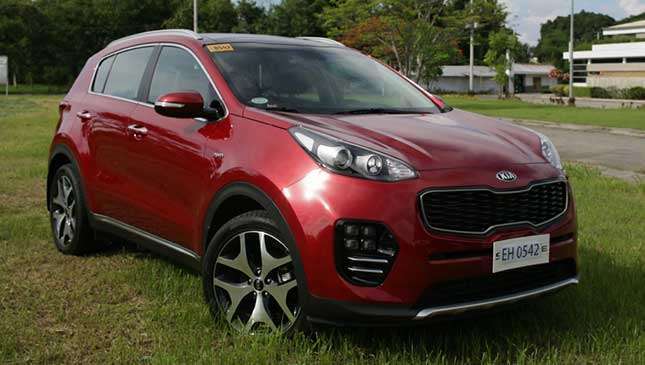 Using the Sportage for mostly city driving and (very) occasional out-of-town trips, we appreciated the solid ride and handling, not so much the thirsty 2.4-liter gasoline engine. In the last five years, we’ve only had to bring it back to the dealer for a warranty service on a balky climate control module thingamajig. Otherwise, it’s been as dead reliable and low maintenance as any of the other Japanese cars we’ve owned. 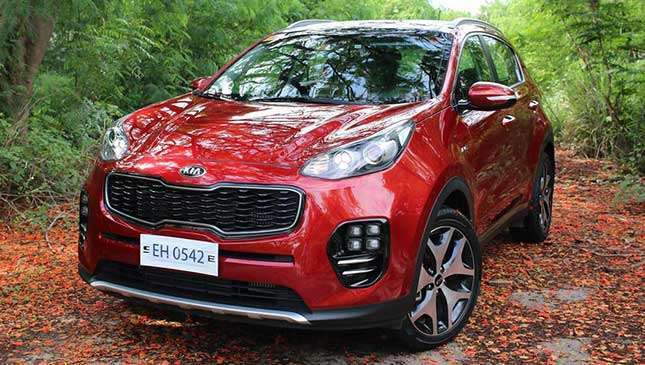 With the fairly recent introduction of the fourth-generation Sportage, I thought I’d borrow one for a few days to see how well the improvements raise the little Kia’s game. 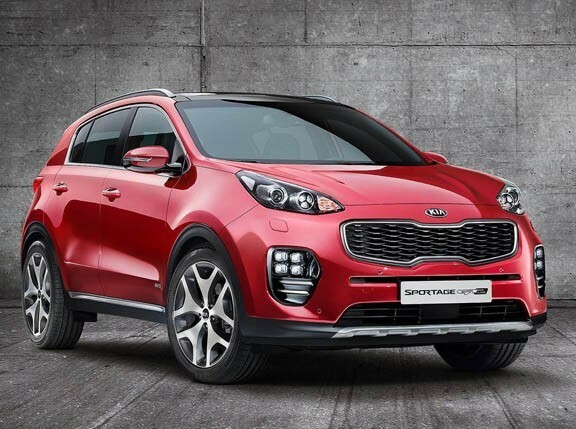 Right off the bat, the Sportage’s new face is a polarizing look. If the previous generation had a touch of Audi here and there, the new one seems to hint of Peugeot. The Wikipedia entry says it was inspired by fighter jets, but all I can see is a crestfallen Kermit the Frog. 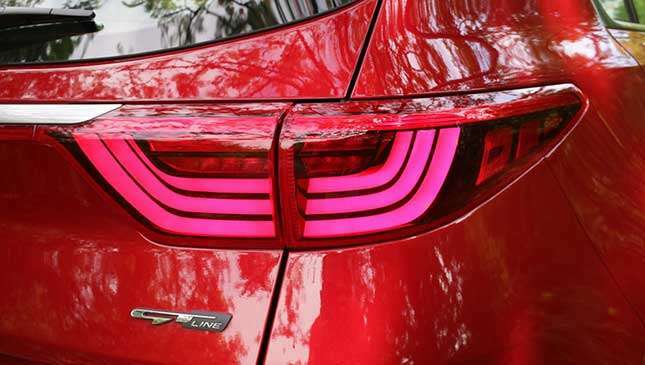 It’s a more daring look that’s definitely more memorable than a conventional Honda CR-V or Nissan X-Trail. The gaping, honeycomb grille flanked by bug-eyed LED headlamps and foglamps isn’t exactly pretty, but it does stand out in a crowd. It grows on you, and the entire look is feminine muscular without being too extreme. The thick spoked alloy wheels (19-inch for this GT Line) are a perfect match for the body, while the LED taillamps and subtle applications of chrome add to a very classy presence. Inside, Kia did the most work improving the previous Sportage’s workman-like cockpit. The dashboard, steering wheel and shifter use thicker, higher quality plastics and synthetic materials, the cool silver bezels around the A/C vents and stereo module add a nice contrast, and the seats have plusher padding (the old Sportage seats feels like a park bench after a while). I particularly like the flat bottom steering wheel—in vogue these days—as well as the retro look of the audio system; like a '90s vintage Bose home stereo. 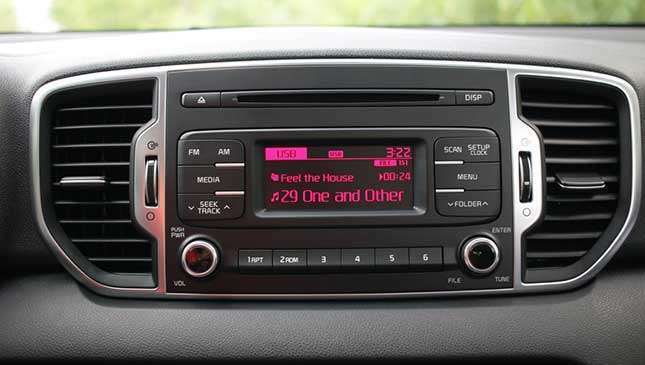 Kia steadfastly refuses to put fancier, more capable multimedia stereo/navi/MPEG setups in the Sportage while the competitors are going whole hog. That can be a good thing or a bad thing depending on your preferences. 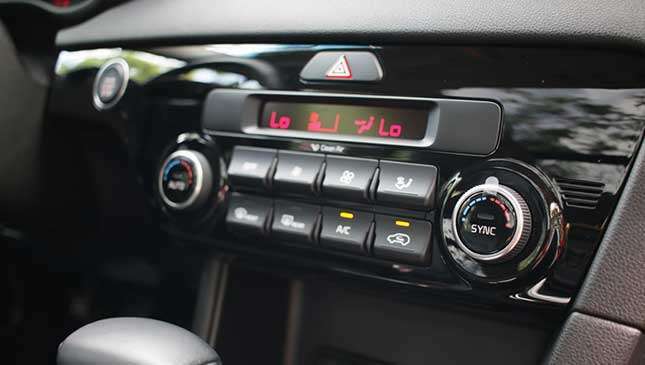 The dedicated stereo setup of the Sportage is instantly intuitive, and the continued use of physical buttons is a welcome relief from the explosion of touchscreen panels these days. Backing it up is a solid speaker setup; nice bass, mid range, and treble range suitable for cranking up Adagio for Strings or your choice of house music. No need to run to an aftermarket audio shop unless your goal is to shatter the windows. Speaking of windows, the Sportage’s full-length moonroof is a doozy. Our 2012 Sportage has a split-design: power moonroof for the front section, fixed moonroof with sliding cover for the rear. Our kids love it when we drive at night so they can watch the stars or stare at tall buildings and billboards. The new Sportage's moonroof opens all the way to the back, but the monocoque chassis is still plenty stiff that we never felt or heard any creaking from the structure even over rough roads. When you have a 2.4-liter engine driving a not-quite-svelte body, don’t expect stellar fuel efficiency. We’ve only averaged around 6.5km/L with our old Sportage, so no surprise there. The 2.0-liter CRDi in this one, however, is a champ in the power, efficiency, and quietness categories. It’s rated at 175hp at 4,000rpm, and has a bunch of torque, too: 402Nm from 1,750 to 2,750rpm. When I pulled the unit out of the service lot, I had to check the tachometer and fuel tank lid to confirm that yes, it is indeed a diesel. It’s that quiet. It revs so smoothly that it’s clearly superior to petrol options. The six-speed transmission is a perfect match in responsiveness and smoothness, too, working unobtrusively to put the engine in the sweet spot all the time. Like its predecessor, the shifter has a nice, ergonomic shape that perfectly fills the palm of your hand. You also have the option to use paddle shifters or the manual gate. While it’s unlikely that you’ll ever go racing in a Sportage, it’s a willing partner when you want to hustle. 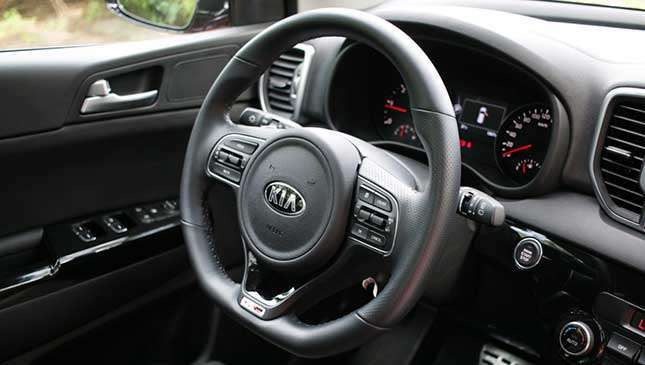 Kia has tightened up the steering, braking, and suspension to make it more responsive as you probe the limits. Suspension damping is on the firm side so you’re not bobbing up and down over the rough stuff, while pitch, yaw, and roll are all predictable and disciplined. The high center of gravity will still discourage you from going crazy in the switchbacks, though. That said, the GT Line variant wears 45-series, 19-inch Hankooks, so it will take a lot of speed and driver error to unintentionally break traction. I honestly enjoyed flogging it up my little hill climb test course over in the south. It’s a guilt-free pleasure, since it sips fuel at the rate of 11-12km/L in the city. Besides, whatever shortcomings the Sportage may have in the handling department, the CRDi powertrain makes up for in brute force. Even if you have to conservatively slow down for the corners, you can quickly get back up to speed thanks to the diesel’s grunt. The Mazda CX-5 is still my choice for driver’s SUV, but the Sportage is no slouch. 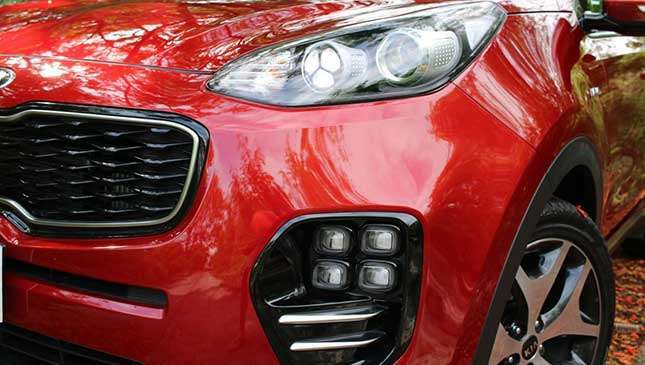 Unlike the sportier Mazda or Subaru XV, or the more mainstream Hyundai Tucson, the Sportage occupies a niche that’s not about packing the most features in the biggest possible box at the lowest possible price. 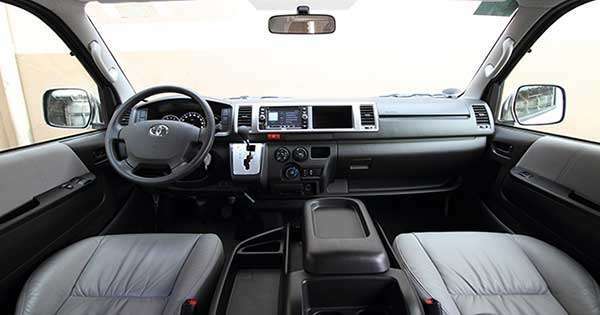 It has the usual array of luxury and safety features like leather, ABS, airbags, and such, but the way it presents everything in a unique style and in a nicely balanced power and handling package is what sets it apart. At its P1.795 million asking price, it will likely attract well-to-do buyers who want something stylish, well-equipped, comfortable, and relatively rare without having to spend more for a European badge.